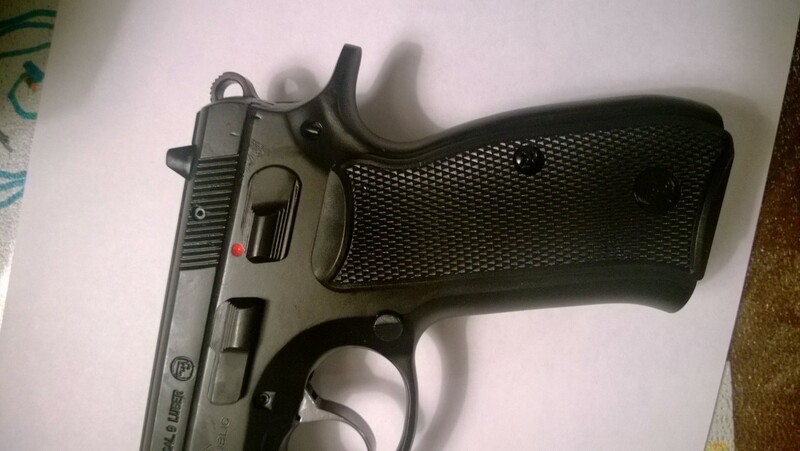 I've been wanting a single action only CZ 75 for quite some time, but these guns were elusive. In fact, I have not seen them in stock at any of my distributors for two years! 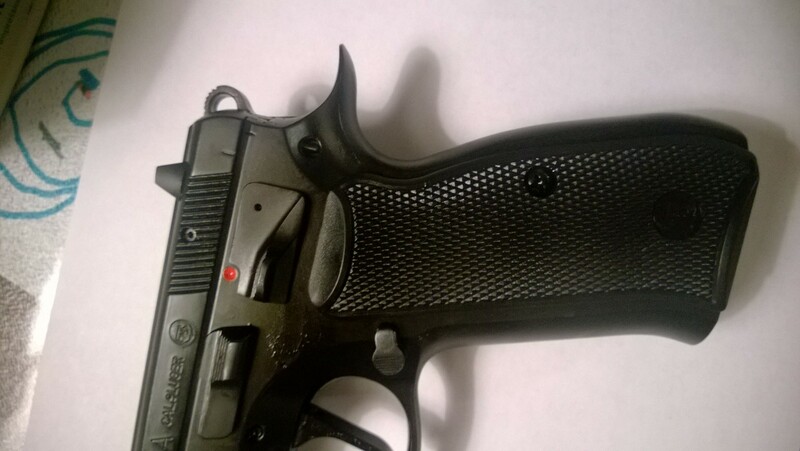 But recently a few of my backorders went through, and I ended up in possession of almost a full line of CZ pistols: CZ 75 B and CZ 75 BD, even a couple of CZ 85, and finally two CZ 75 B SA. I have of course kept one for myself and put the other one on this site. 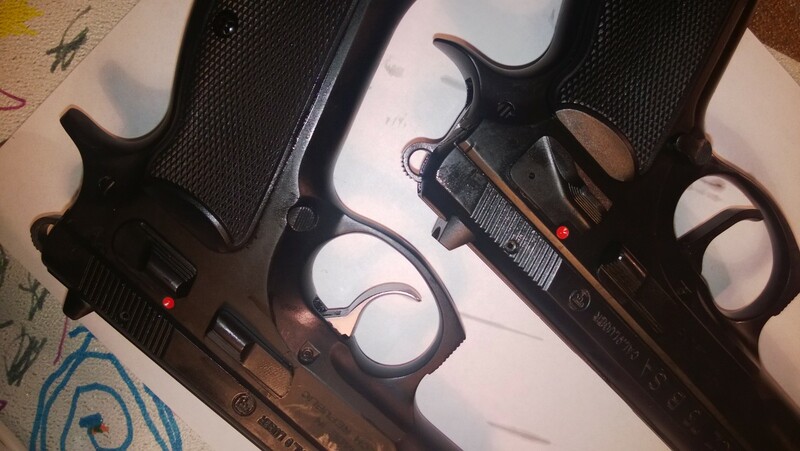 When copying information from CZ-USA for the ad, I noticed that they said "The CZ 75 B SA (single action) is identical to the CZ 75 B in all aspects except that it has a single action trigger mechanism and a drop-free magazine". This puzzled me, because even a cursory examination showed a few differences. Here is what I was able to find. 1. 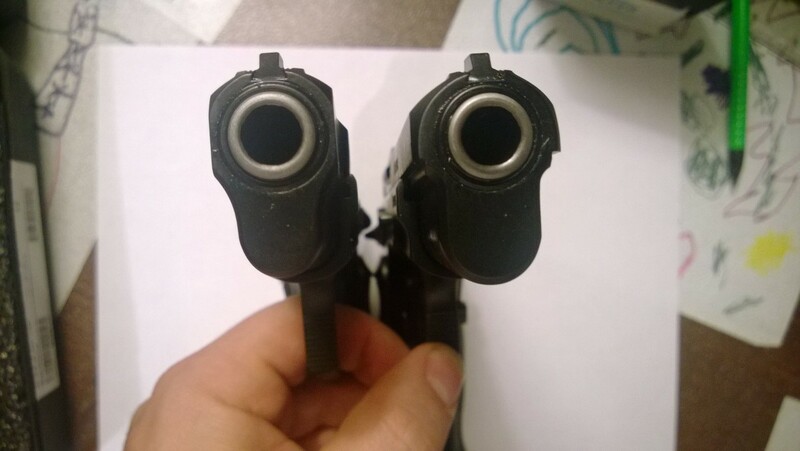 The easiest to spot - safety is ambidextrous on CZ 75 B SA (on the right). 2. 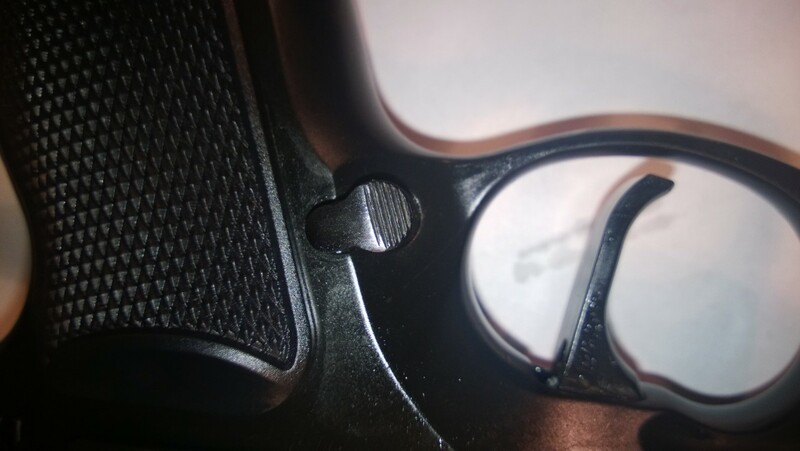 A few things are obviously different when you look at the other side of the pistols. For example, the shape of the safety. 3. 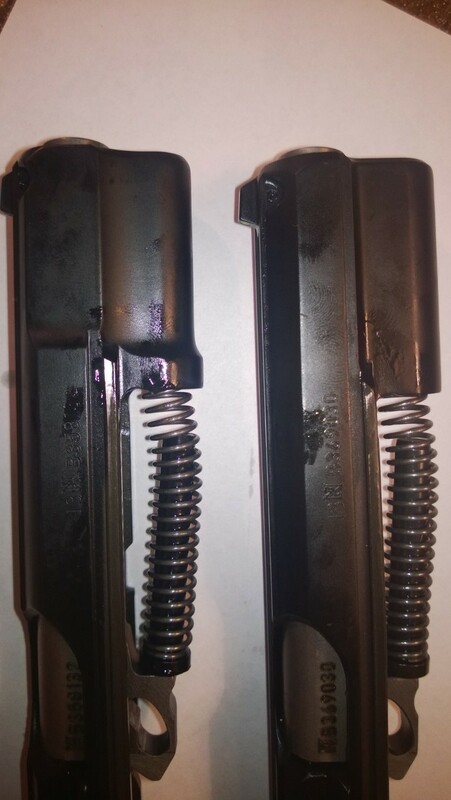 Zooming in, the trigger and magazine release button are completely different on the SA model (on the right). 4. The beaver tail far more pronounced - sharp, even - on the SA model (on the right). 5. 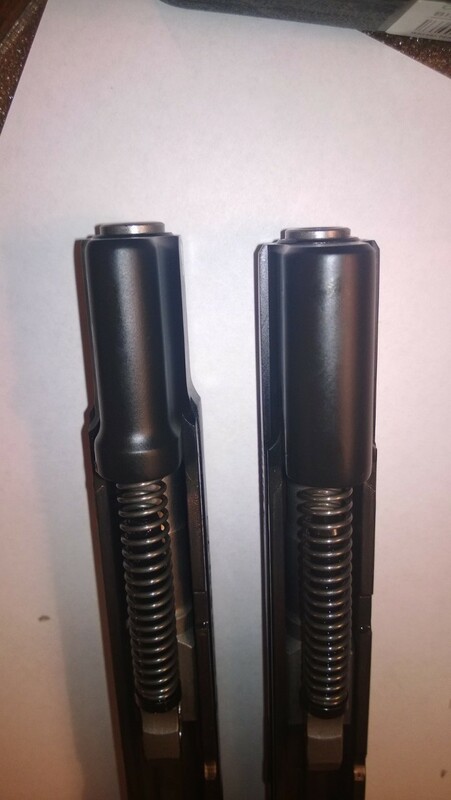 Bottom front of the slide is much beefier on the SA model (right). 6. 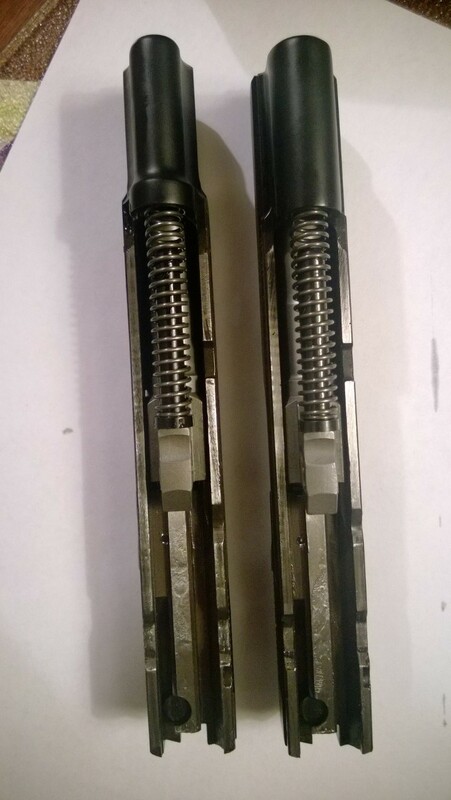 Looking from the top, metal is removed from the sides of the front of the slide on 75B, but not on the SA model (right on both pictures). 7. Finally, what's this glitter on the guide rod? 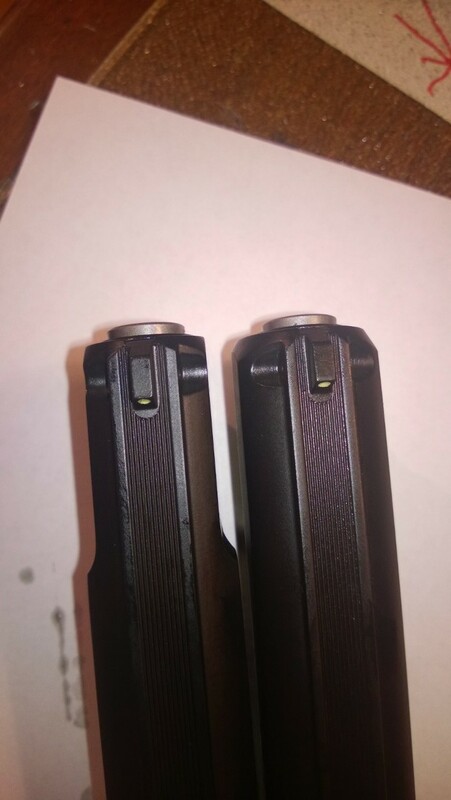 Oh, yes, on SA model (right) it is metal, and on regular 75B it is plastic. So there actually are quite a few differences beyond what CZ-USA website says! There are a few other statements that I've read on various internet discussion forums about the differences. 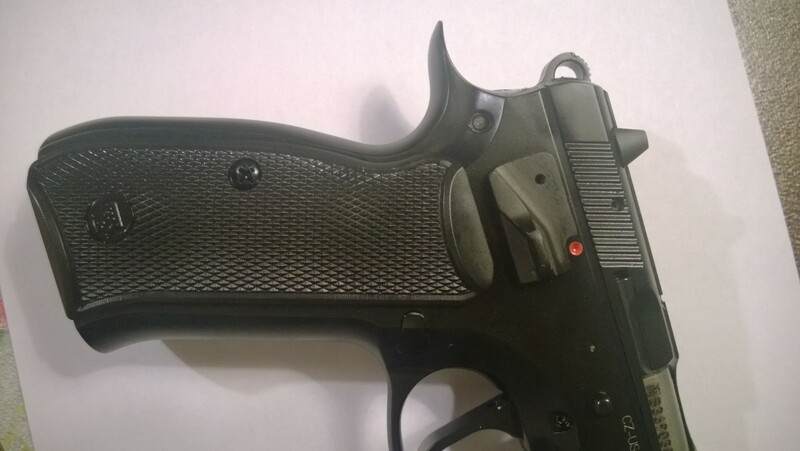 For example, people say that the trigger of CZ 75B SA is better than that of CZ 75B in SA mode. I did not notice it. 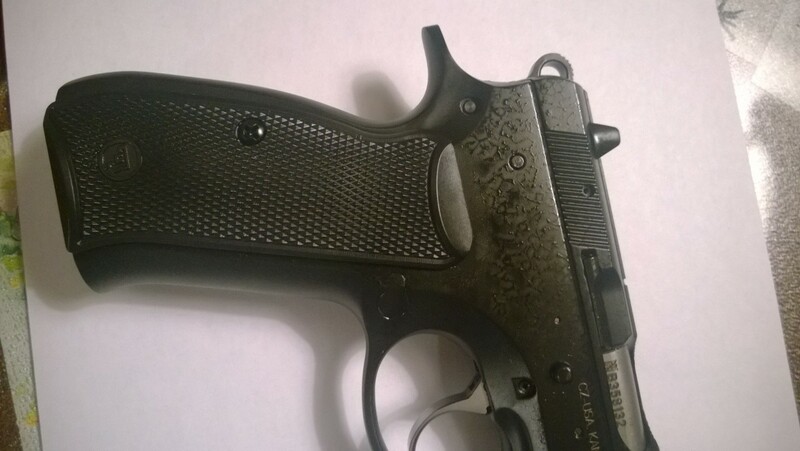 The take-up and general "creepiness" of the triggers of my two guns were roughly the same as the ones in CZ 75B or CZ 75 BD. 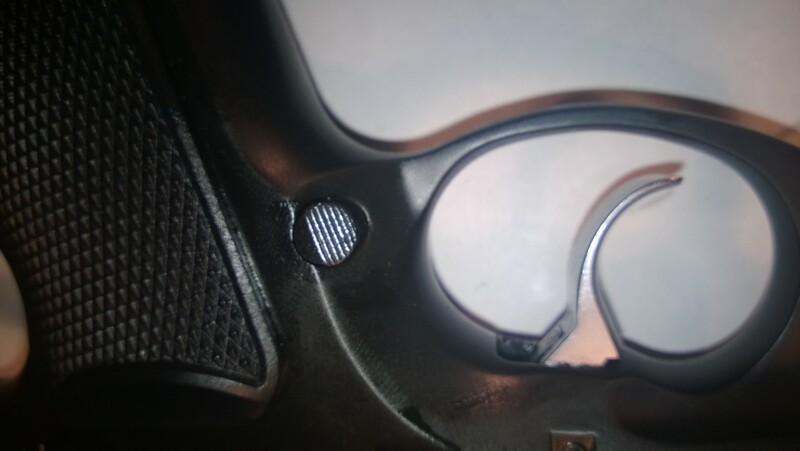 Of course, this is as received from the factory - I have not tried to adjust either trigger. It is possible that SA model has better potential for adjustment, but out of the factory they seem the same.